Ashley Nickels is a writer, quilter and teacher. I am a freelance writer and storyteller. Storytelling is my jam. Check out my latest essays, blog posts, and articles, and find out more. 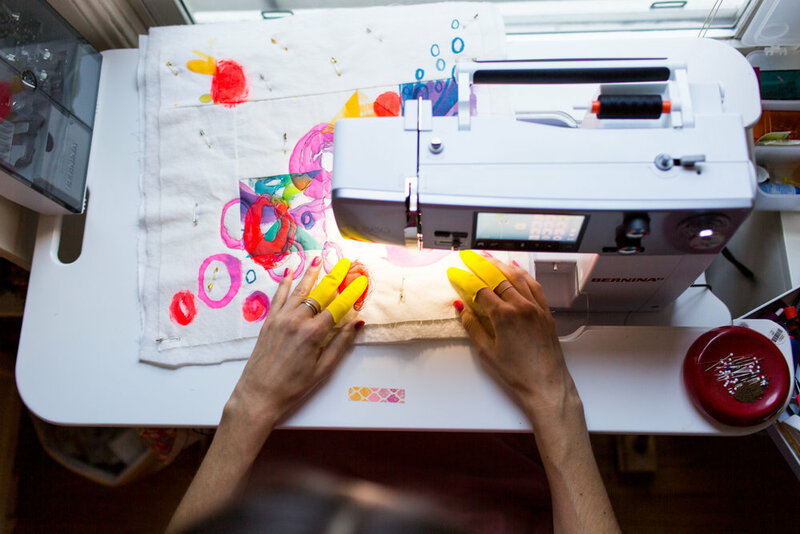 I teach both in-person and online classes where you learn sewing and quilting techniques as well as how to channel that creativity, yo! I am a watercolor quilter, and my signature technique combines my love of writing, drawing, painting AND quilting. You'll love them. Sign up to receive my newsletter and be the first to find out about new classes and events. Plus, bonus! Get my latest words and musings sent right to your inbox. Thank you! You're in for a treat.